This book had so much potential. Annabelle dreams about a boy almost every night, he is swoony (as most dream boys are) and they have this dream relationship. Then one night, after they kiss, the boy shows up at Annabelle’s school and is named Martin. Almost immediately after starting this book I felt like something about Annabelle’s voice was off. I’m not entirely sure what it was but it didn’t feel honest, it almost felt like the author’s were trying too hard to portray a teenage voice. Although, as I continued, the awkwardness did become less pronounced. My other mail qualm with Dream Boy was the love triangle between Annabelle, Will and Martin. Martin is Annabelle’s dream boy so it’s obvious why she would be attracted to and want to figure out how he came to her small town. Will is Annabelle’ childhood best friend who has a very obvious crush on her. I couldn’t help rooting for Will, especially when Martin’s behavior became a little suspect. While, I did have some problems with Dream Boy I was very intrigued by the plot. I love the idea of bringing things from your dreams in to real life (a la Maggie Stiefvater’s The Dream Thieves). I wanted to solve the mystery of how Martin came to be in this small Virginia town and how Annabelle was connected to the whole thing. My interest in the plot and material kept me reading despite my issues with the main character. I also enjoyed the relationship Will had with Annabelle’s younger brother. They had an easy friendship with a heavy dose of brotherly teasing. The scene’s these character shared where some of my favorite and they made me laugh. 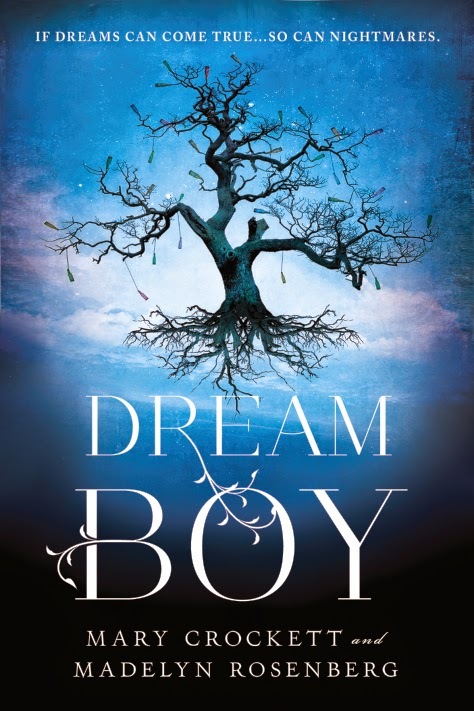 Overall, Dream Boy was one of those middle of the road reads. There were things I enjoyed and other things I wasn’t so keen on but in the end the story was interesting and I liked more things then I disliked.